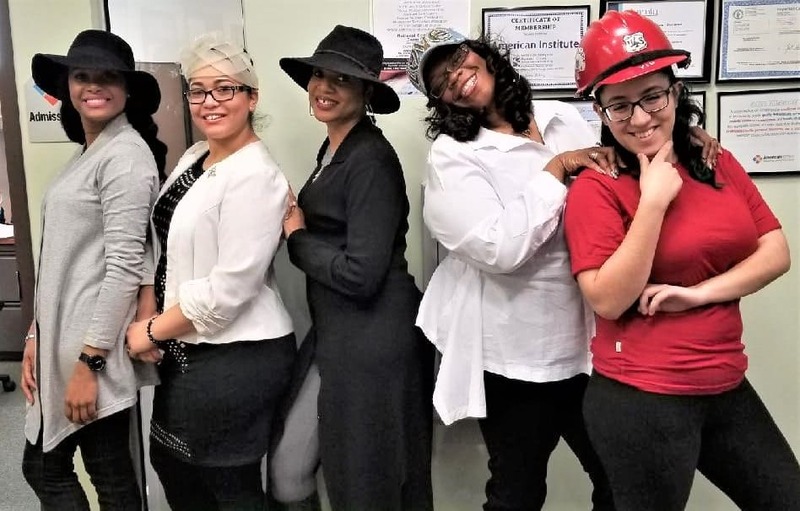 Students and staff at American Institute’s Somerset campus donned their favorite headgear to celebrate National Hat Day this year. While we don’t see them as much as we used to, hats serve many purposes. They can be worn for protection, to display military rank, as part of a costume or uniform, to celebrate a special occasion, to keep warm or simply to make a fashion statement. Whether you prefer a baseball cap, a fancy Stetson, or a frilly fascinator, get it out and wear it proudly on National Hat Day!